Manage reputational and privacy issues, particularly in digital media. 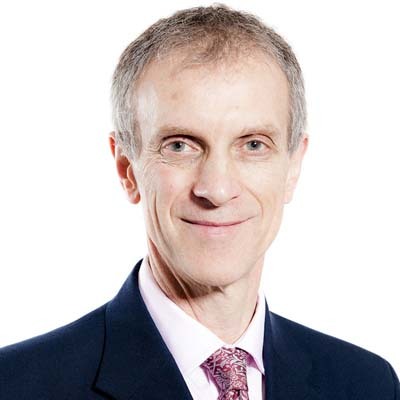 Nick has a wide-ranging dispute resolution practice, with contrasting specialisms in telecoms standards, trade secret protection, copyright and defamation. He is also a qualified mediator. Nick gets very engaged with his work, and enjoys dealing with other people on complex and strategic issues. Among his colleagues he has a reputation for obtaining good settlement outcomes and for leading successful teams of junior lawyers. Nick's works regularly and closely with our overseas offices, which is a trend that will continue with the introduction of the European unitary patent and the new court structure that it brings. Some of the many highlights of Nick's career include developing the firm's Japan Desk, lobbying and advising on IP issues in telecoms standardisation, and working on expert evidence in complex telecoms patent cases. A trade secrets case involved enforcement against ex-employees who denied taking a vast database of engineering designs and using them to develop competing bids; they eventually conceded and paid very substantial damages and costs. Another recent case involved patent enforcement to oblige a competing manufacturer to withdraw their entire product range, considerably enhancing my client's sales. In defamation, a recent challenge involved taking through one of the first cases to test major changes in the law following the introduction of the Defamation Act 2013. Many of Nick's clients are in technical industries, most notably in telecoms and electronics. His defamation clients come from many different sectors, with a focus on local government, real estate and pharma. In 2013 Nick led a team of IP litigators that won a High Court claim for Seiko Epson Corporation against a competing manufacturer, based on several of SEC's patents. The manufacturer withdrew from the market entirely, shortly before trial. He regularly attends the international IP Committee meetings of two principal telecoms standard-setting bodies - the European Telecommunications Standards Institute and the International Telecommunications Union - in a lobbying role. In 2013 Nick led a team running High Court proceedings against ex-employees of Metso Minerals Industries, who vehemently denied having taken a vast database of engineering drawings for use in their competing business. The ex-employees eventually paid very substantial compensation and returned the database. Nick is leading the firm's IP team in developing its knowledge and readiness for the introduction of the European Unitary Patent - the biggest development in patents law for several decades. He recently advised Meggitt Aircraft Braking Systems on securing the intellectual property rights necessary for the manufacture of a key component, when its overseas supplier became insolvent. He defended Stoke on Trent City Council against a defamation claim brought by a senior ex-employee in combination with industrial tribunal proceedings. The dispute was settled at an early stage by agreement, using mediation techniques. He has advised several international sports personalities on business issues concerning their media profiles, successfully enforcing their rights. Nick is an accredited mediator, trained by the Centre for Dispute Resolution, and has been involved in many mediations - both on clients' behalf and as a mediator. He regularly works with InterDigital Corporation on strategic issues in Europe concerning the licensing of standards-essential patents.